The Fourth of July is our nation's most celebrated holiday. Unfortunately, it is also the most dangerous. According to the Consumer Product Safety Commission (CPSC), more than 10,000 people were injured on the Fourth of July in 2014 due to fireworks. The most common having been burns to the skin and eye injuries. Tragically, children under the age of 15 years old experienced the highest rate of injury. 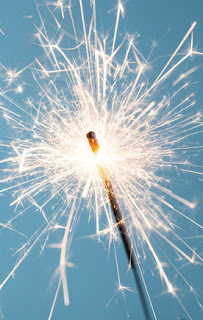 Sparklers, which tend to be pretty tame compared to other fireworks and are popular with kids, are the greatest cause. Their festive spark burns at a temperature of nearly 2,000 degrees. Never allow children to play with or ignite fireworks, including sparklers. Don't purchase fireworks packaged in brown paper, which indicates they may have been intended for professional displays only. Keep all body parts, especially the face, out of the direction of the fireworks when lighting a fuse. Then back up immediately to a safe distance one the fuse is lit. Fill a bucket of water, or locate a garden hose, and place it nearby in case of emergency. Give up on malfunctioning fireworks that don't ignite after several tries. Soak them in water and toss them. Avoid pointing or throwing fireworks at another person. And never aim them directly at a house, building, car, or trees. Once fireworks have burned out, douse them with plenty of water so they a good and soggy before being thrown out. Also make sure that fireworks are legal in your city or county before ever setting them off on your own. Enjoy this most patriotic holiday of ours, but please remember, safety first. 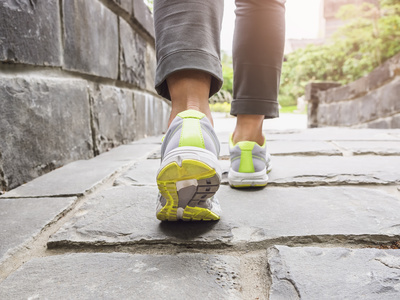 Walking may not be the first thing you think about when planning a workout. But maybe it should be. It is often overlooked as an important form of exercise. Yet walking is super affordable (pretty much free! ), can be done anywhere, and all you need is a pair of comfortable and supportive shoes. And the benefits are countless...healthy bones and joints, improved muscle tone, cardiovascular conditioning, and even weight loss. In as little as 30 minutes a day, five days a week, you can achieve a great workout. Warm up as you would before any workout--do a few gentle stretches, then walk slowly for five minutes, and later pick up speed to get your heart rate going. Swing your arms from side-to-side, or front-to-back. Choose any motion that is comfortable to add some momentum. Keep your back straight and pull in your abdominal muscles. Take long, lengthy strides rather than short, quick steps. Cool down with a slower pace again for about five minutes once you are done. Every two weeks, add another five minutes to your walk to build strength and endurance. Also, visit some hilly areas or stairs on your route for an additional challenge. If you are up for it, try using one to five-pound ankle or arm weights as you walk for an extra calorie burn. Don't forget to bring a water bottle along to stay hydrated as you walk, especially during these hot summer months. A good rule is to drink one pint of water 15 minutes before you start walking, and another pint after you finish. 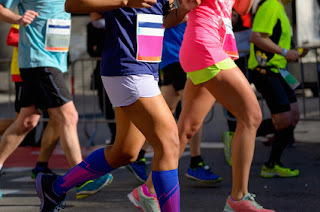 Unless you subscribe to the 'one and done' theory for marathons, you likely fall into the 'between marathons' category if you are an avid runner. There are countless tips on how to prepare leading up to a marathon, and also how to wind down afterwards. But what if you have multiple marathons on your dance card throughout the year? How should you train in between? 1. Reduce weekly mileages to about 30 to 40 perfect of your long distance training weeks. 2. Decrease running days by 1 to 3 days from your pre-marathon schedule. 3. Embark on a change of scenery. Explore new running routes. Check out hills, stairs, parking garages, trails and tracks to mix things up. 4. Run naked. Running 'naked' means unplugging and leaving your technology at home. Take off your watch, fitness trackers, and music. Experience the sounds of nature or the hum of your city streets. 5. Register for a shorter race, like a 5K or fun run. 6. 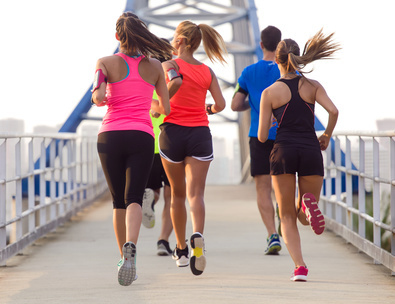 Socialize and join a running group. Or invite a friend to run with you and check out a new restaurant or bar together afterwards. 7. Hit the books and read an inspiring story, such as Born to Run, Natural Born Heroes, The Boys in the Boat, or Unbroken. 8. Try a yoga class and focus on your stretching and flexibility. 9. Take a break from your rigid diet, and treat yourself to some foods you may have craved before your race. Or try out a new type of exotic cuisine. 10. Work on your running form. Count your foot falls, focus on your arm swing, play around with your gait pattern. Anything you can do while not in hard-core training mode, free of tracking times and distances, can help your next race to be more fluid and efficient. In addition to keeping motivated and staying in shape between marathons, it is also important to build in rest time into your routine. Your body needs to recover from one race before gearing up for the next, or you may leave yourself open to overuse injuries, sprains and strains, fractures and torn ligaments. Swimming is an excellent sport on so many fronts. It is a great all-over body an aerobic workout, increases flexibility, and builds cardiovascular strength. While swimming in a pool is the obvious option, Austin offers a number of other places to log a few laps...Barton Springs, Deep Eddy, and the many surrounding lakes. Lake swimming is very popular at this time of year. This year however, due to record rainfall, the lake levels are dangerously high. So whether you are swimming for exercise, or just hopping in while boating, please use extreme caution in and around the lakes this summer. Never swim alone, and always let someone on shore know when you or your group should be expected back. Keep tabs on family and friends in the water, and especially children. Drowning can take place in as little as 20 seconds, and often occurs silently with someone unknowingly slipping under the water. Swim only in designated areas, and respect any other precautions or warnings set forth by the Texas Parks and Wildlife Department. Be careful even while swimming close to shore, as most drowning accidents usually occur within about 50 feet from land. 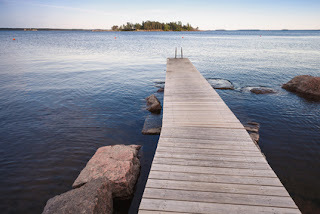 Learn to perform CPR or get certified in First Aid if you frequently swim in lakes. The American Red Cross offers many classes and certification options. For those who are not strong swimmers, the very young, or elderly, make sure they wear a U.S. Coast Guard-approved life jacket while in the water. Check that open wounds or sores are properly bandaged in waterproof dressing, as natural waters are not chlorinated and can harbor high levels of harmful bacteria that can lead to infection, or illness. Finally, remember that swimming and alcohol can be a deadly combination. And always take note of where the nearest lifeguard station or boat ramp/entrance is, and call 911 in the event of an emergency. June is he month when we celebrate and honor fathers and the other important men in our lives. June is also Men's Health Month, dedicated to raising awareness of preventable health diseases among men and boys while encouraging early detection and treatment. Another important condition to screen for in men, that often falls under the radar, is osteoporosis. Many tend to think of osteoporosis as a disease primarily affecting women, but millions of men also are diagnosed each year. 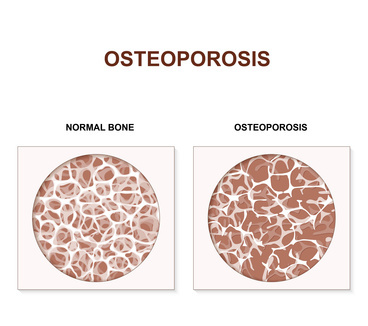 Osteoporosis is a serious condition that causes progressive bone loss and an increased risk of breaks and fractures. It is typically diagnosed via a bone density test. Osteoporosis can be managed with proper nutrition, exercise, medication (in some cases), and/or calcium and vitamin D supplements. It is recommended that men get each about 1,200 mg of calcium and between 600-800 IU of vitamin D daily. If you are concerned about osteoporosis, or would like to schedule a bone density test, please contact us for an appointment. Dr. David Laverty recently spoke at the 2016 Austin Trauma & Critical Care Conference and delivered a lecture titled, "Traumatic Amputations," to a group of more than 300 attendees. The conference is held annually, in Austin, and is organized by the Seton Healthcare Family. 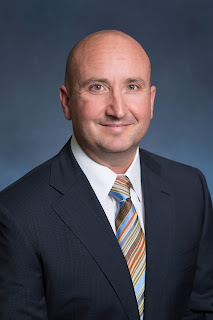 Dr. Laverty has been a featured guest speaker at this conference for the past seven years. He is one of Texas Orthopedics' trauma specialists. Other speakers included experts in trauma and critical care from both the Regional Level 1 adult trauma center, University Medical Center Brackenridge, and Central Texas's only Level 1 pediatric trauma center, Dell Children's Medical Center. The conference agenda addressed basic and cutting edge guidelines and technologies for the evaluation, diagnosis, and management of adult and pediatric trauma patients. Even though it has been a soggy spring, sizzling temps are imminently on the horizon for summer. The ultra-bright rays of the sun, coupled with scorching temperatures, can be downright dangerous if not careful when spending time outdoors. Sunburn, dehydration, heat exhaustion, and even fainting are not uncommon at this time of year. Whether playing organized sports, or casual pick-up games in the park or by the lake, here are some simple tips to keep cool while outside this summer. Eyes are very delicate, just like skin, and need to be protected from the sun's harmful rays. Look for glasses that 'block UV light' as a feature. Choose light fabrics, in light colors. Pale, light-colored clothing will keep you cooler than something dark that absorbs heat. Also opt for layers that are breathable, or mesh-like. High-tech fabric that is 'moisture-wicking,' also helps to keep skin dry and cool. 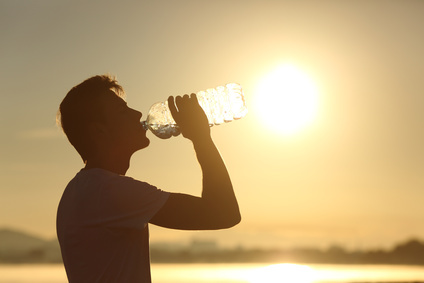 Adults need approximately two liters of water per day. Make sure to up that in the hot summer months when perspiration increases, and we lose more water and dehydration can easily set in. 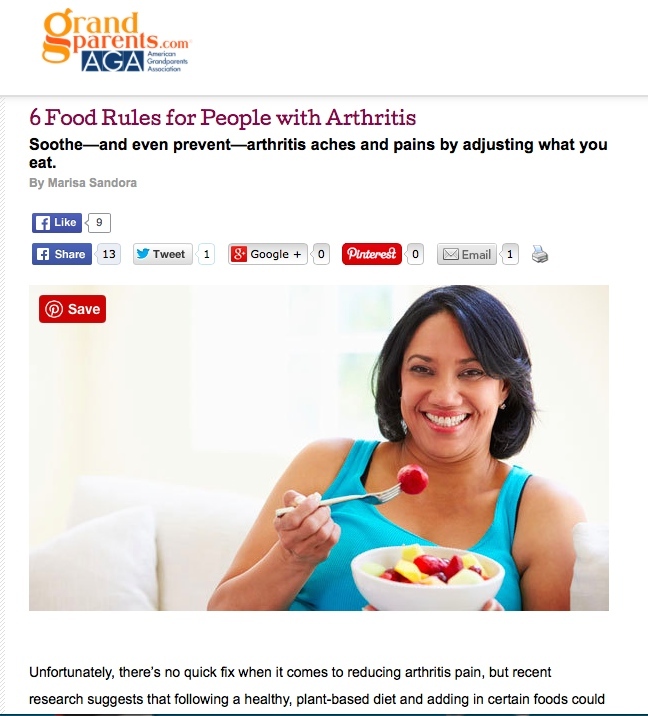 Eating foods with a high water content is also smart. Fruits like watermelon, and veggies, like tomatoes and lettuces, are all packed with water which can be energizing and refreshing. Try to plan your outdoor workouts or activities early in the mornings before temps rise, or late in the afternoon or early evening as the sun is setting. Alternating between indoor and outdoor workouts can also provide your body a break from the heat. Track, treadmill, or trail, you name it...women will run it. Women runners are now outpacing men in everything from casual, charitable road races to more grueling half-marathons. According to Running USA, women mad up 57% of the 17 million U.S. race finishers and 61% of half-marathoners. Many writers who contribute to the running/racing beat credit this rise in female running to two key events. The first one was Oprah Winfrey finishing the 1994 Marine Corps Marathon. She documented her training every step along the way and wore bib No. 40 to reflect her age. Thousands were inspired and cheered her on, and she claimed that if she could do it, any woman could. Secondly, about this time, a new series of road races designed to raise money for breast cancer research, and specifically targeted at women runners, became popular in markets all across the country. It was called Race for the Cure. Race for the Cure, which now organizes more than 150 events globally each year with nearly 1 million participants, paved the way for countless other charitable running events that are hugely successful today. Another more recent factor is the introduction of fashionable running clothing and athletic gear designed specifically for women. Women like to feel pretty while also showing they are athletic and strong. For decades, women have had to make due with ill-fitting sportswear tailored for men, but simply dyed shades of pink. By 2010, women passed male finishers in all races being run in the U.S. (Running USA). And there is no indication that they are slowing down now.